The majestic Sierra Buttes are a dramatic backdrop to the Northern Sierra's "Lakes Basin." Few people realize that this apparently pristine landscape was once actively mined as part of the Sierra Mother Lode. This has left the land in a fragmented checkerboard pattern of public and private ownership. Development on these private inholdings would dramatically affect the water quality of local lakes and streams, diminish the natural beauty of the scenery, and disrupt wildlife corridors. In 2011, we purchased more than 800 acres at the heart of the Buttes that will be managed by the Sierra County Land Trust. 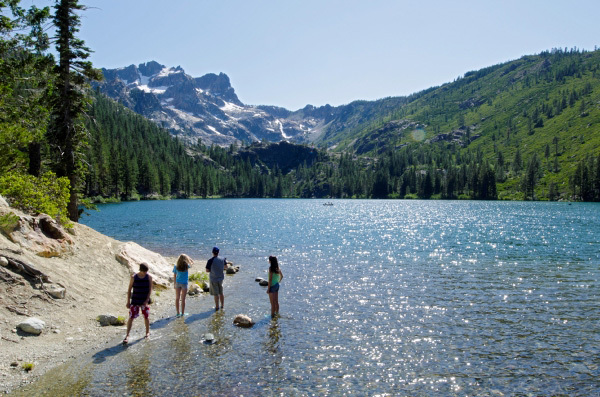 The protected land includes several small lakes, an old-growth forest, and a popular hiking trail linking to the Pacific Crest Trail. It also shelters a number of rare and endangered species, including the willow flycatcher.